The first time I used the Body Shop Camomile Waterproof Eye & Lip Makeup Remover was back in November when I joined the Body Shop at Home***. This was one of the items in the consultant starter kit and to be honest I didn’t pay it much attention and it sat on my dinner table for a few weeks. I was doing a few makeup looks for my Insta feed and thought it would be a good time to try it out. Wow! It got rid of everything, all with just 3 cotton pads. It shifted a heavy smokey eye, complete with budge proof waterproof eyeliner and mascara without the need for any harsh rubbing or repeat action. I then created a heavy, Asian bridal style eye look and one cotton pad per eye was all it took to remove the whole lot. I was seriously impressed as I just had not expected it to be so good. I’ve tried the Lancome Bi-Facil eye makeup remover and find it always leaves a chalky residue on my eyelids. I’ve tried micellar waters and they just don’t get waterproof makeup off as smoothly. I’ve tried cream formulas and they tend to get into my tear ducts and blur u my eyes. This is the first eye makeup remover that I’ve genuinely had no complaints with. *** I am Sales Consultant with the Body Shop At Home, the direct sales arm of the Body Shop International. While I do get commission on any sales I make, I keep my reviews honest. You can see the products I’ve tried and hated, just as much as you see the products I’ve loved. 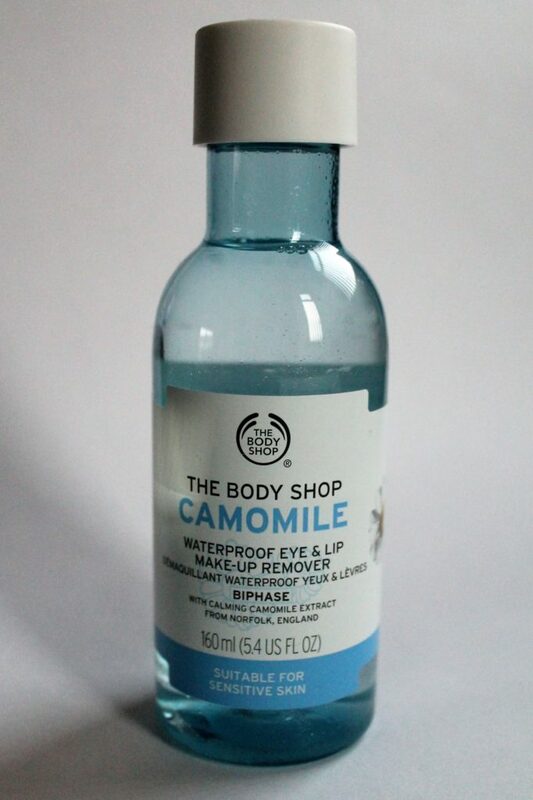 Leave a reply on "No more panda eyes: Body Shop Camomile Makeup Remover"